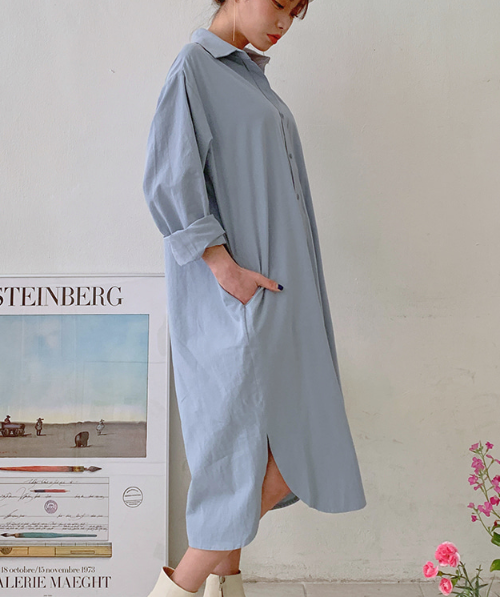 When the mood calls for vintage with a lot of sophistication, slip into this Buttoned Front Midi Shirt Dress. 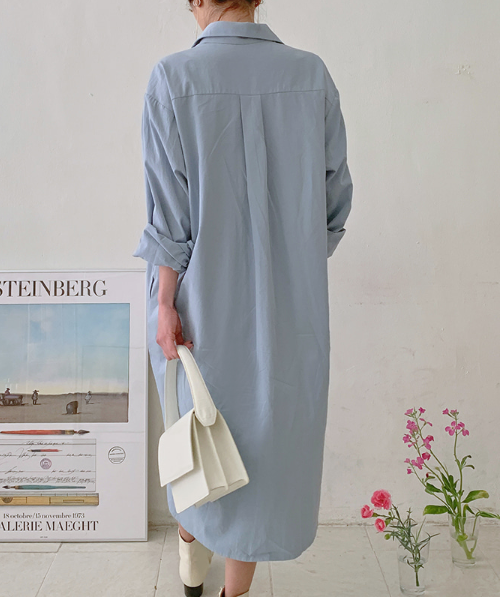 It comes with pointed collars, long sleeves with buttoned cuffs, a midi-length curved hemline with slits, a button-down closure, and a loose fit bodice. Made from 100% cotton. Looks perfect with a leather handbag and a pair of ankle boots.